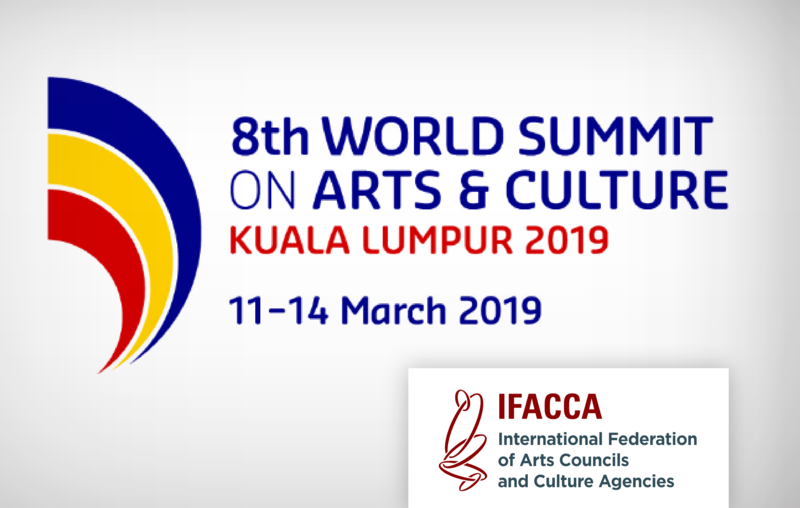 On next 11-14 March 2019, the International Federation of Arts Councils and Culture Agencies (IFACCA) will organize its 8th World Summit on Culture & Arts, entitled "Mobile Minds: Culture, Knowledge and Change", in Kuela Lumpur, Malaysia. This Summit will bring together leading policy makers, researchers, managers and practitioners from the arts and culture sector from around the world to address these issues and examine how governments, cultural organisations, creative practitioners, and citizen can - and do - work together to actively lead change. See official website of the 8th IFACCA World Summit on Culture & Arts.